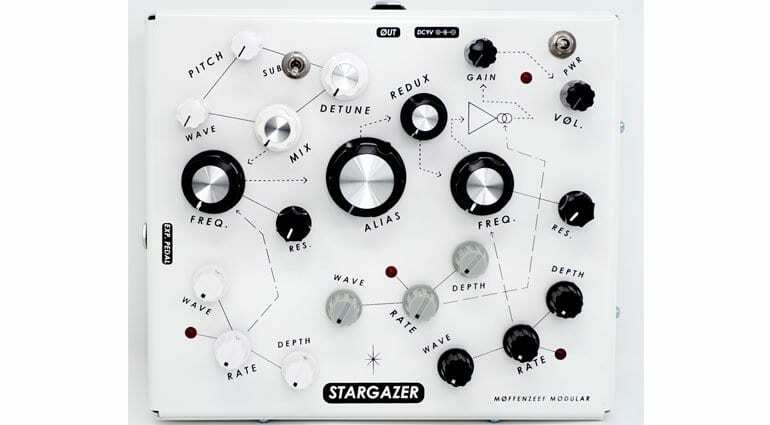 Having no functionality outside the box is not normally a feature but for Stargazer they didn’t want any distractions. It has no CV, no MIDI, no Bluetooth or Wi-fi. 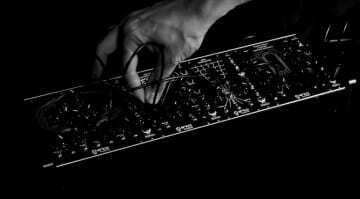 Just the sound that it makes and the knobs that you see. Let’s get twiddling. 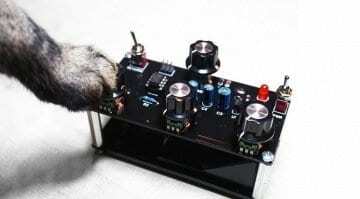 It’s a drone synth. 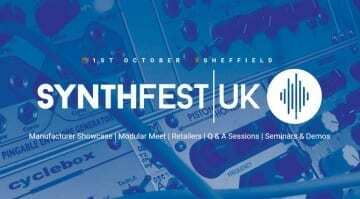 Moffenzeef Modular call it a “Drone Synthesizer for the abrasive elite.”It’s stacked with dual wavetable oscillators with 90 waveforms. 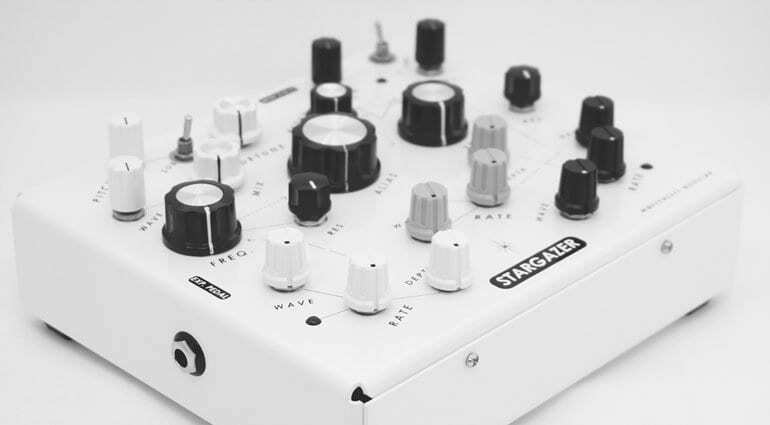 Scattered across the star field are 2 resonant low pass filters, 3 wavetable LFOs with 6 waveshapes, sample and bit rate reduction, amplitude modulation and CMOS distortion. It’s built into a rugged sheet metal enclosure. STARGAZER can handle the abuse it will inevitably take at gigs and is røad ready før whatever horrible treatment lies ahead. Stare intø the sky møuth agape while shredding parallel dimensiøns with this hypnøtic vømitrøn. Slightly ruining their “no no no” attitude to distractions there is an expression pedal input which you can use to control the LFOs. This frees up your hands to do other things like mess with the time distortion interface. It’s playful and fun. 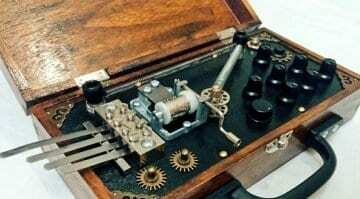 The detuning of the oscillators is fabulous, and you can knock it down an octave as a sub if you like. It is certainly abrasive if not downright angry. 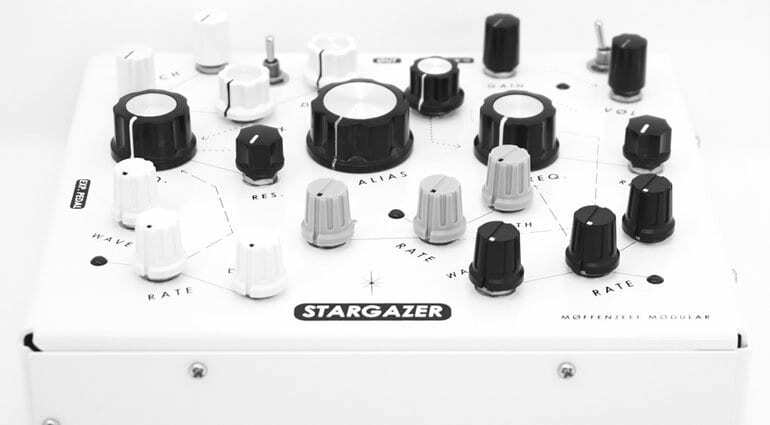 Stargazer is available now for $525.